The end of summer is approaching, marking the beginning of the back-to-school season. Parents are gearing up their kids to get ready for their new terms. Retailers are simultaneously getting ready for all the business that is coming their way. According to a Deloitte’s 2018 Back to School Survey, total back-to-school spending is expected to reach $27.6B, or $510 per household, slightly up from $501 in 2017. The month of August is a great time for families to shop for items ranging from clothes to school supplies to electronics. Per the Deloitte report, Out of the $27.6B expected in sales in 2018, about $15.7 billion will be spent in-store, $6.3 billion online and about $5.5 billion is up for grabs as those customers are undecided how they would like to shop. According to the Deloitte report, customers today expect online and in-store experiences to be complementary. 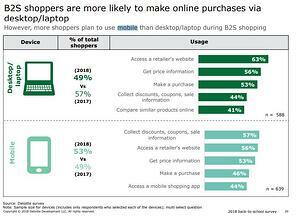 Many customers research products online before they buy them in-store. 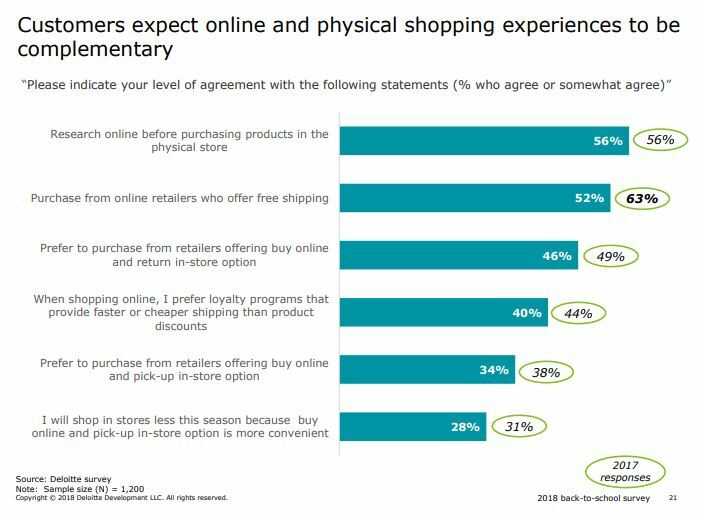 Some also prefer to purchase from retailers that offer “buy online” and “pick up in-store” option adding flexibility to their shopping experience. The omni-channel experience is now considered the new normal, and customers expect to be able to shop via multiple channels, whether they’re in-store, remotely on mobile POS devices, online or via vending and kiosk solutions. A key to meeting these expectations is an omni-channel strategy with an integrated payments infrastructure that allows shoppers to start their purchase on one channel (such as online) and finish it on another (in-store), all with a seamless experience. 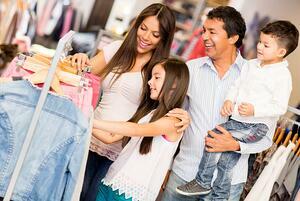 A common practice among many shoppers today is showrooming. Consumers walk into retail stores, and once they find what they like, use their smartphones to further research the products, download offers and even buy online. According to the Deloitte report, 53 percent of Back-to-School shoppers making online purchases are expected to use their mobile phones for a myriad of tasks from accessing the retailer’s website, to downloading coupons, to even making a purchase. Merchants cannot stop customers from using their smartphones in their stores, but they can better serve them by engaging with them through their own mobile channels. Store staff can also help customers check product inventory and even assist in matching a discounted price with a mobile POS solution. Among many other benefits, mobile POS helps with line busting by allowing your staff to provide instant checkouts anywhere within the store and serve more customers during busy seasons. This way, customers won’t have to wait in long lines to check out and receive a superior level of service. Consumers shopping behavior has changed over the years. Although online shopping has covered a lot of ground, brick-and-mortar stores are still standing strong. With over 57 percent of Back-to-School spending still concentrated on in-store, customers’ expectation of a good shopping experience is also expected to rise. As more consumers visit brick-and-mortar stores, it presents an opportunity for merchants to get creative with an experience that keeps customers in the store and encourages purchases. Other than using mobile POS to checkout customers in the aisle, merchants can make shopping more convenient with unattended solutions, such as kiosks and vending machines, which allow shoppers to get in and out quickly, without any delays. With back to school spending on the rise, a busy shopping season is also a prime target for cyber criminals.  A data breach can compromise huge volumes of sensitive customer information. These breaches are catastrophic for any business. These merchants not only lose sensitive data but also the trust of their customers. Merchants need to make sure their payment infrastructure is well-protected against these breaches with a multi-layered approach to payment security. These layers include EMV, point-to-point encryption (P2PE) and tokenization, which help merchants protect their business and their customer’s data—not just during the transaction process—but also while it’s at rest. Back to school will come and go and soon, the holiday shopping season will be upon us. Merchants of all sizes need to be prepared and these strategies apply to any busy shopping season. They will help you attract more shoppers to your business, securely accept all forms of electronic payments, provide them with a unique and convenient shopping experience and keep them coming back for more. If you are looking enhance your payment infrastructure in your retail business and would like our expertise, please contact us.